Computer Systems for Human Systems focuses on the human dynamics associated with the implementation of centralized computer systems. Based on a study conducted in 1974 and 1975 in the United States, it describes a coherent framework for the management of information systems development. This framework is designed to provide those involved in the development and implementation of computer-based information systems (decision-support systems) with an outline of the analytic resources available to them as they set about their complex task. Comprised of 11 chapters, this book begins with a review of the research and conventional wisdom from the information systems literature and a list of 32 "myths" or "predictions." Major concepts from organization development theory and research are then outlined, with emphasis on the management of change and internal organizational dynamics. These concepts are then applied to the findings from earlier chapters to systematize the "predictions" and to provide a more general analytic framework for the management of information system development. Subsequent chapters present a case study of a 10-campus college system which decided to centralize all computer facilities in 1972. The study examines progress, the impacts of the system on management activity, and managerial response to the system. The final chapter summarizes the findings from the field study, relates them to the concepts and predictions outlined earlier, and generates a set of recommendations for management action. 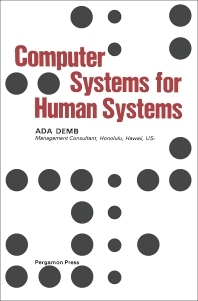 This monograph will be of interest to systems designers, information systems managers, and those involved with computer-based systems.